We know that digital marketing has nothing to do with magic or miracles. It is a craft that requires particular skills and knowledge of skilled work. And we know, that even the “Hogwarts School of Witchcraft and Wizardry“ needs at least seven years to train children who show magical ability to skilled, specialized Witches and Wizards. Of course,the teamof Open Booking needless than fiveears fora significant improvement in profitability. Our tips and tools will help you to get a growth in bookings of 40% and more in the first year. 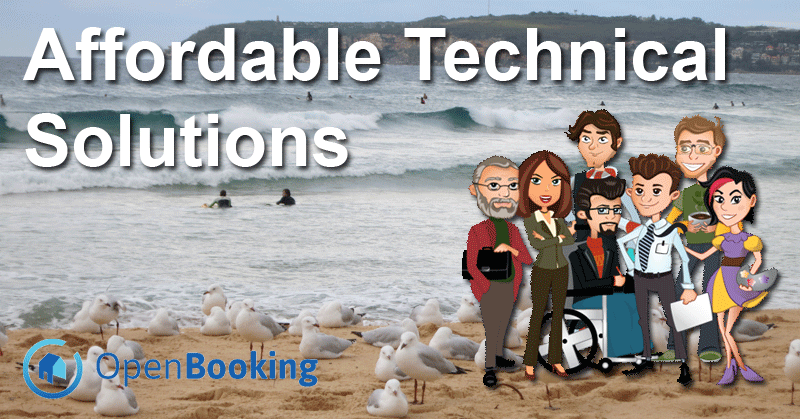 The entire Open Booking Team of skilled people is waiting to help you as independent vacation rental owner or manager in getting sold out and make your life easier. Do not waste time waiting for better days, just make them. Subscribe to our weekly newsletter and place your questions to the crowd (including the open-booking-team) – be part of the community of independent vacation rental owners and managers. Change your customer relations and handle requests faster and more effective – and less time consuming. Open Booking wants to give you all for to “Do it yourself” – but if you’re overloaded or just want to lean back and enjoy, you’re welcome to hire a helping hand. Just ask for your individual plan. Please Let Them Book Direct! How to compete with AirBnB, HomeAway & Co? Enter your email and get access to our updates for best practice do-it-yourself digital marketing for vacation rental owners.